The Ohio Department of Education and State Board of Education released a working draft of the state’s five-year strategic plan for education called EachChild=OurFuture. According to the ODE website, the purpose of the plan is to help each child become successful thanks to the guidance and support of caring adults who are empowered by an effective system. 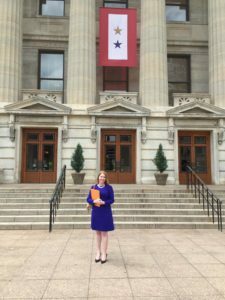 The plan is a tool to inform policy development at the Ohio Statehouse and education practice in Ohio’s schools. More than 150 preK-12 educators, higher education representatives, parents and caregivers, employers, business leaders, philanthropic organizations worked collaboratively over the last six months to develop it. 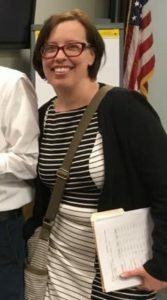 In case you aren’t familiar with our organization, PEP is a nonpartisan group that was formed to support publicly accountable Ohio schools for all students, to advocate for equitably funded public schools that offer a full and rich curriculum to all children, and to connect public education advocacy groups throughout the state. The Public Education Partners board members appreciate all of the hard work that went into this document, and we’re especially grateful that it’s a draft that’s not set in stone. The strategic plan has many good features, especially the four equally-valued Domains of Learning: Foundational Skills and Knowledge, Well-Rounded Content, Reasoning, and Social-Emotional to support the development of the whole child. The Guiding Principles that informed the development of the vision, goal and strategies have been very thoughtfully put together by the stakeholders and partners who worked diligently to develop this plan. The strategies for reaching the goal are a little more vague, which may lead the governor and policy-makers to misinterpret what needs to be done. For example, Strategy 1 states that it’s not good that six state agencies (the Ohio Departments of Education, Job and Family Services, Medicaid, Developmental Disabilities, Health, and Mental Health & Addiction Services) use varying messages and approaches when serving Ohio’s children and families. PEP wouldn’t want that statement to give the go-ahead for making ODE a cabinet level agency like the other departments. Strategy 8 says that each student must have access to personalized learning, which can be misconstrued to accelerate a longtime push for “test data-driven” education interventions. Though couched in pretty-sounding language about “personalized learning,” such a transformation will lead to continuous online standardized testing. This narrows and dumbs down instruction to what low-level tests can measure, depresses student engagement, and produces inaccurate indicators of learning. Strategy 12 speaks of supporting districts to meet their own unique “human capital” needs, and Strategy 13 and 14 recommend that Ohio increase its supply of highly effective teachers and leaders through Teach for America (TFA) and Bright New Leaders (TFA for principals), two programs with questionable backgrounds and motives. Any “teacher shortage” we may have was created by design through poorly written education policies and can be corrected through legislative changes at the Statehouse. The PEP Board was encouraged to see the Strategic Plan prioritize that the State Board of Education must promote policies and practices that ensure an abundant supply of teachers, leaders, and other personnel, such as psychologists, counselors, support staff, etc. – those educators whose positions were eliminated after the 2015 State BOE voted to get rid of the 5 of 8 Rule of minimum staffing standards in Ohio schools. Perhaps now would be a good time to revisit and repeal that unfortunate decision. As was most assuredly pointed out in your regional stakeholder meetings, this promising plan cannot be accomplished without many policy changes from the governor and the state legislature. Ohio needs a complete overhaul of the test-and-punish system of school accountability measures for the 4 Equal Domains to truly be equivalent. Charter schools and vouchers for private schools need to be either eliminated or funded in such a way as not to take away any public school district funds and other resources. And last, but not least, Ohio’s funding of public education must be completely revamped to meet the Ohio Constitution’s requirement to provide for a thorough and efficient system of public school districts throughout the state. Only then can this statewide vision and goal for preK-12 education in Ohio become a reality.